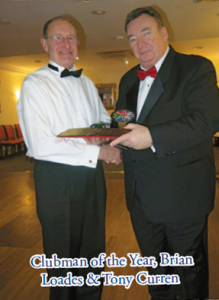 Held on the 3rd February at The Hotel Miramar, Bournemouth. 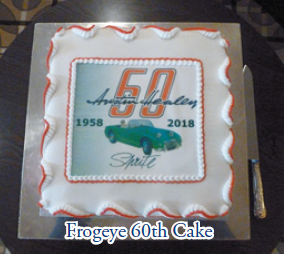 Again in 2018 we had reason to celebrate an anniversary, so The ‘New Forest Centre’ had a special cake made for the traditional afternoon teas at ‘The Hotel Miramar’ and marked the year that the Frogeye Sprite was launched at the 1958 Monaco Grand Prix on the 20th May. 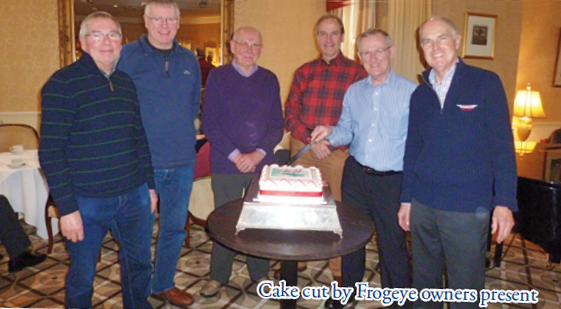 Frogeye owners present were gathered to cut the cake, and with tea served to 40 members enjoyed a very pleasant afternoon catching up. 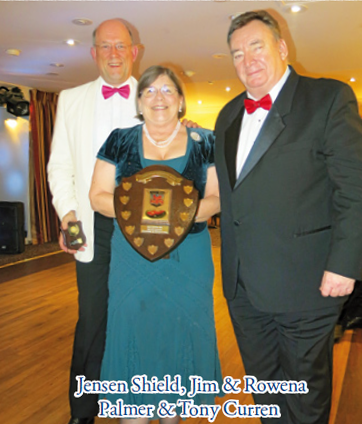 Welcome guests and officers of the club from outside our centre included Tony & Caroline Curren & John Keener. 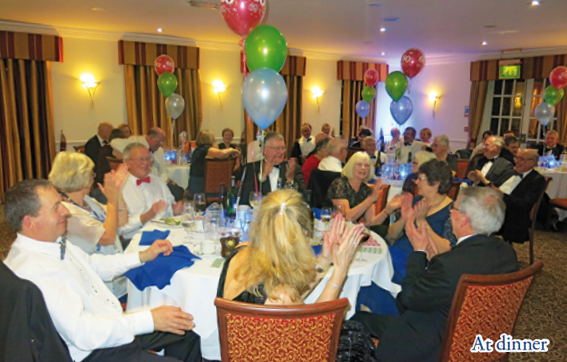 Our evening festivities commenced at 6.45pm in the ‘Garden Suite’ bar, and dinner followed at 7.30pm. Peter Healey, our centre President, had joined us by this time having been glued to the television in the afternoon to watch rugby!! This year 56 enjoyed a super meal and whilst coffee was served, our raffle ladies did a great job of selling lots of tickets for the 21 prizes on display. 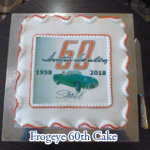 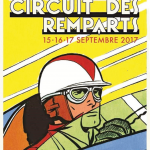 Our centre is very fortunate to receive support from company sponsors:- Bill Rawles Classic Cars, Ahead4Healeys, Rawles Motorsport together with our own members, so our thanks go out to all who assist the committee in providing great enjoyment for the members of our centre. 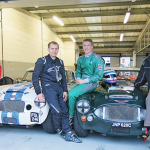 The evening continued later with the disco producing good dance music for all, with a few retreating to the bar for that earnest chat about a new fangled part that is essential to making the Healey perform much better. Sunday as is traditional after a good breakfast, the seafront and sunny conditions beckoned us for that good walk on the prom to blow the cobwebs away, and prepare us all for the drive home.